This city moves fast and work lives here are unforgiving. Strangers can be kind in New York City, but they can also be rude and hostile — or even occasionally dangerous. To get by in New York City, you need street smarts, confidence, thick skin, and maybe even a little bit of luck. It takes real work to survive and thrive here, and it’s your mind and mental health that bear much of the burden. When you work long hours, you’re apt to burn yourself out. When you have to stay vigilant as you weave through busy streets or walk home alone at night, that wears on your mind. When strangers behave poorly all around you, or when you see something unkind, gross, or otherwise upsetting, that drains emotional reserves which take a heavy toll on your mental health. To survive and thrive in NYC you need assistance. You need to care for your mental health. Here’s what you should be doing. 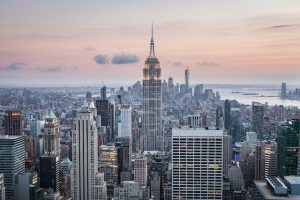 There are a lot of things that you can and should do on your own to make life in New York City a little easier, and we’ll cover them below. You should be going to the park, taking time for yourself, and doing little things that make your life happier and your responsibilities more bearable. But make no mistake: No amount of self-care and scented candles can compensate for the lack of real mental health care from licensed professionals. That’s why you should look into NYC cognitive therapy. Therapy is an incredibly powerful tool for managing, protecting, and strengthening your mental health. With a therapist — who may be a psychiatrist (yes, some do more than just prescribe medication), psychologist, or other trained professional — you can explore the what and why of your own thoughts and feelings. You’ll be able to arm yourself with strategies that will make you more satisfied, healthier, and better at everything from managing your relationships to doing your work. New York City is a big urban city, but it’s also full of nature. Its many parks offer an escape from the hustle and bustle — and, to some degree, from the pollution — of its busy streets. Many of New York City’s parks are big enough to have an isolated spot for you to spend some time recharging, but even small green spaces have their uses. Stepping out of the busy streets and spending some time resting on a bench and breathing in fresh air will do you a lot of good. In New York City and everywhere else, meditation can be great for your mental health (and, believe it or not, your physical health, too). And it’s not hard to do — you can meditate almost anywhere and at almost any time. Meditation is all about focus, but don’t assume that you’re failing if your mind wanders. The practice of catching yourself thinking and bringing yourself back to the moment is the practice of meditation. Just acknowledge your thoughts and return to focusing on your breath. Real meditation is work, but it doesn’t have to be tedious, and you will find that it comes more naturally to you the more that you do it. New York City is a huge city with tons of people, but you’re not here to meet all 8.6 million of them at once. Focus on smaller groups, and put yourself in a position to really get to know people. Join a softball league, a darts league, a book club, or any other sort of organization that will get you talking to a few people at a time. Friends are great for our mental (and physical) health, and New York City doesn’t have to be an intimidating place for socializing.